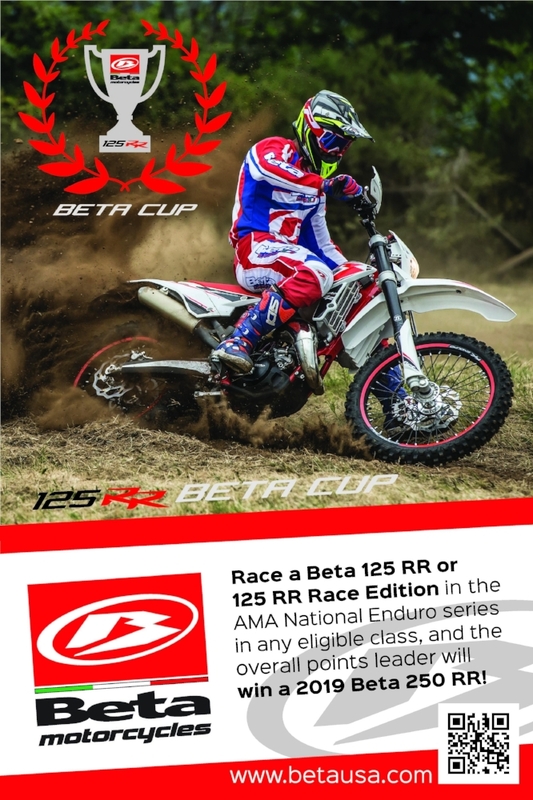 The rules for the Beta 125RR Cup are simple. 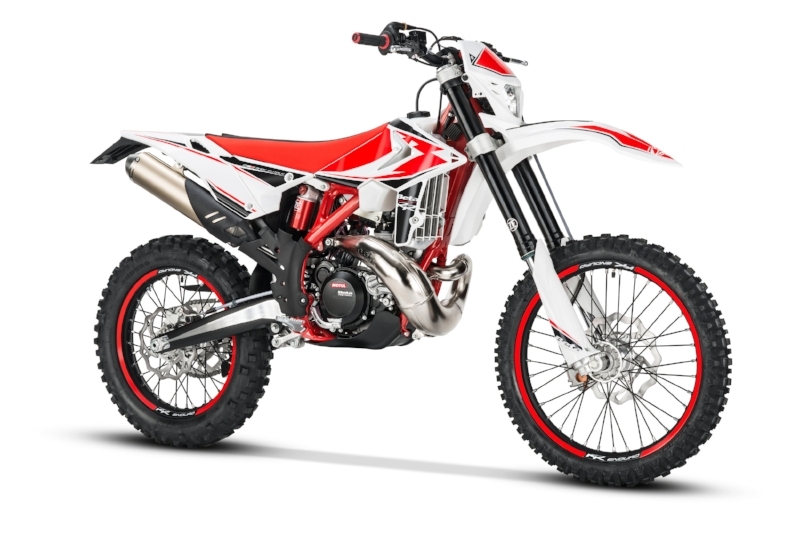 Ride an 18' or 19' Beta 125RR in any class that you qualify for on a 125cc motorcycle, and you will be automatically entered into the Beta Cup. When entering your events you will simply sign up for an existing class in the National Enduro Series. The rider that earns the most points in his or her NEPG class will win the Beta Cup along with a 2019 Beta 250RR. This will give any rider a chance, whether they are an A, B, C, or Womens Rider. * There will be 1 winner of the Beta Cup. The rider with the highest points in his or her class at the end of the season compared to all other Beta Cup Riders will be the winner. The winner would be the 200 Rider earning 104pts in the B 200 Class. The idea behind racing a 125RR and winning a 250RR is using this as a stepping stone into the 250cc motorcycle. Visit nationalenduro.com or betausa.com for more information. Please email info@nationalenduro.com with any questions.